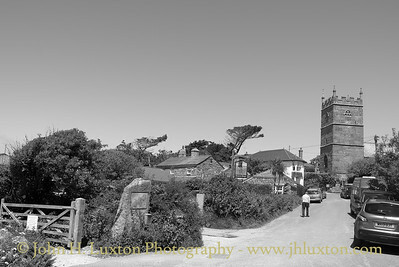 Zennor is a village and civil parish in Cornwall, UK. 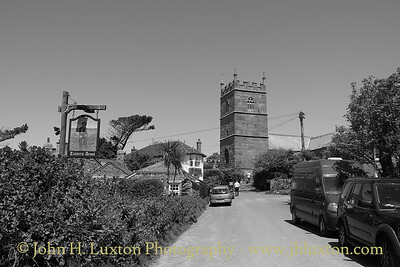 The parish includes the villages of Zennor, Boswednack and Portmeor and the hamlet of Treen. 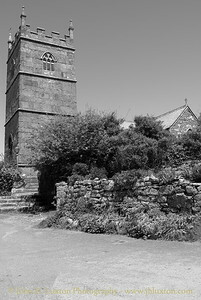 Zennor lies on the north coast, about 6 miles north of Penzance. Alphabetically, the parish is the last in Britain. 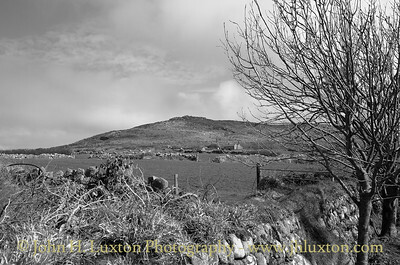 Its name comes from the Cornish name for the local saint, Saint Senara. 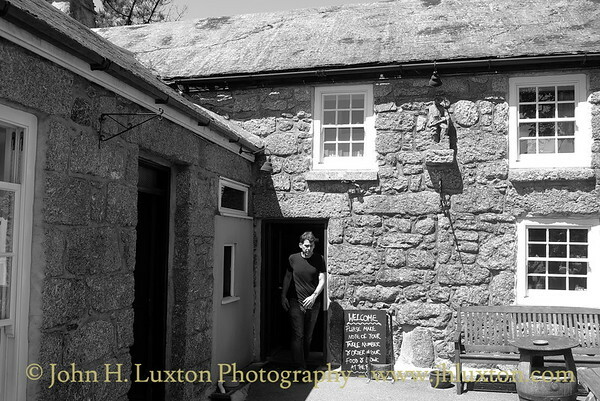 The Tinners Arms a delightful traditional pub at Zennor, Cornwall. 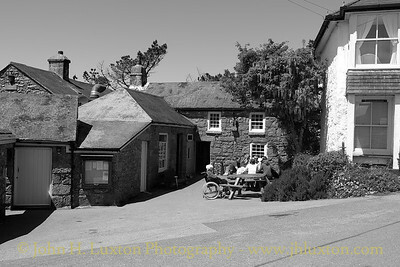 The Tinners Arms a delightful traditionalo pub at Zennor, Cornwall. 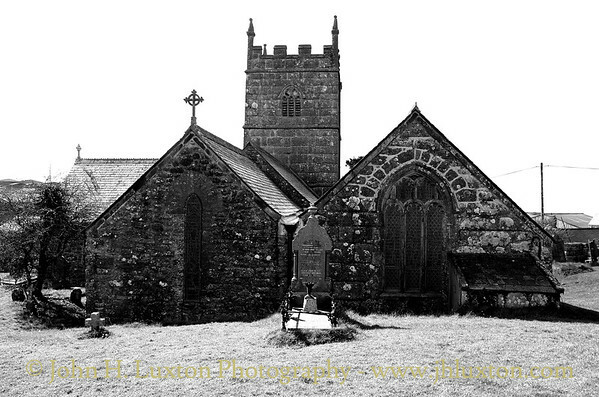 St Senara's Church, Zennor, Cornwall - April 2016. 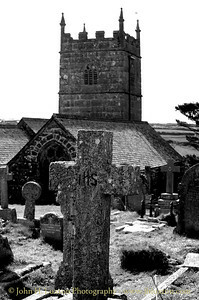 The War Memorial A church dedicated to Saint Senara has stood on the current site overlooking the sea since at least the 6th century AD, but the current building is partly Norman and partly of the 13th and 15th centuries (the north aisle 15th century). 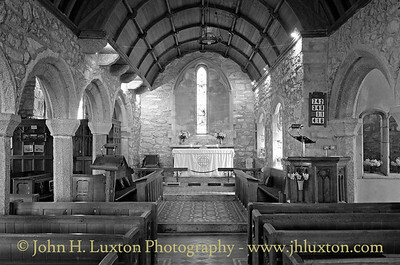 There is a west tower and the octagonal font may be from the 13th century. 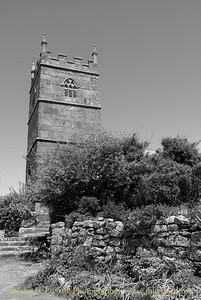 It was reputedly founded by Saint Senara on her return from Ireland with her son, who was by then a bishop, when they founded the village of Zennor. 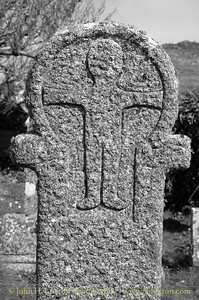 One of only two remaining bench-ends in the church portrays the Mermaid of Zennor, depicted admiring herself in a mirror. This is on the so-called "Mermaid Chair" which also has carvings of fish on the seat, and which is believed to be at least 600 years old. 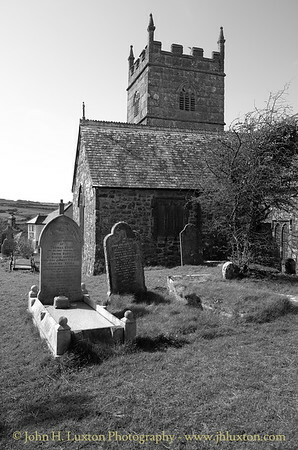 The church is surrounded by a small circular graveyard, the boundaries of which have existed since the Bronze Age and in which parish residents have been buried for centuries. 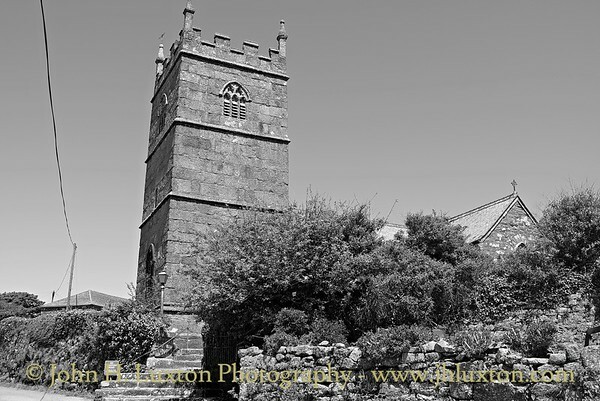 St Senara's Church, Zennor, Cornwall - April 2016. 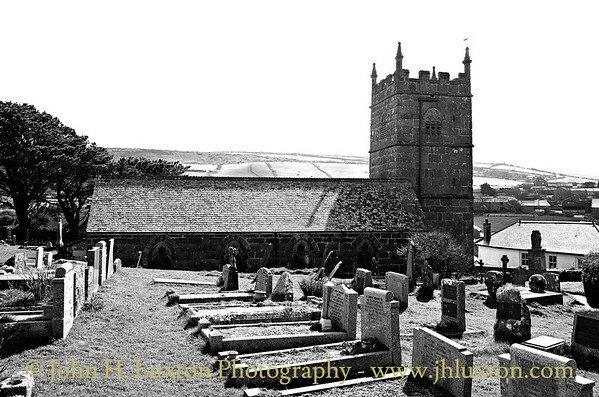 A church dedicated to Saint Senara has stood on the current site overlooking the sea since at least the 6th century AD, but the current building is partly Norman and partly of the 13th and 15th centuries (the north aisle 15th century). 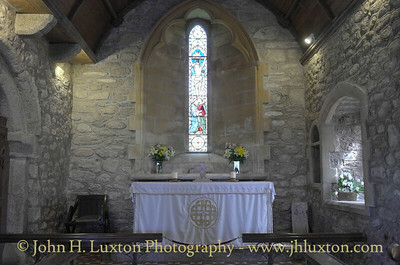 There is a west tower and the octagonal font may be from the 13th century. 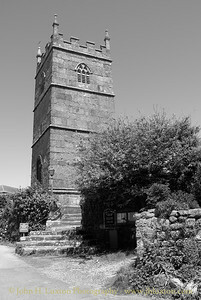 It was reputedly founded by Saint Senara on her return from Ireland with her son, who was by then a bishop, when they founded the village of Zennor. One of only two remaining bench-ends in the church portrays the Mermaid of Zennor, depicted admiring herself in a mirror. This is on the so-called "Mermaid Chair" which also has carvings of fish on the seat, and which is believed to be at least 600 years old. 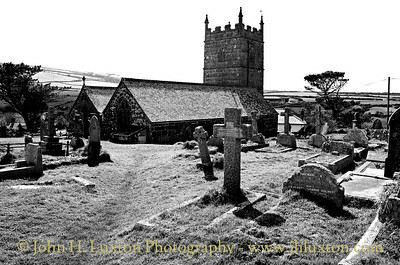 The church is surrounded by a small circular graveyard, the boundaries of which have existed since the Bronze Age and in which parish residents have been buried for centuries. 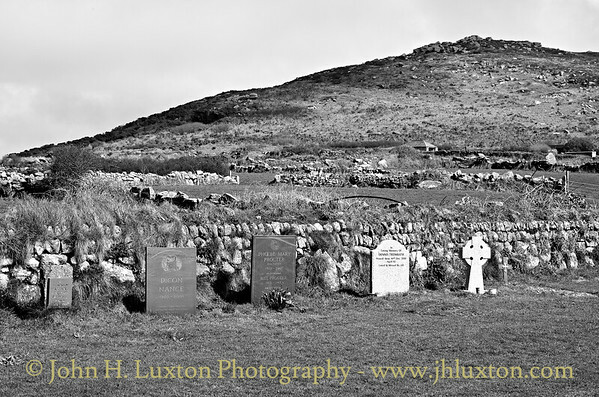 St Senara's Church yard , looking towards Zennor Hill, Zennor, Cornwall - April 2016. 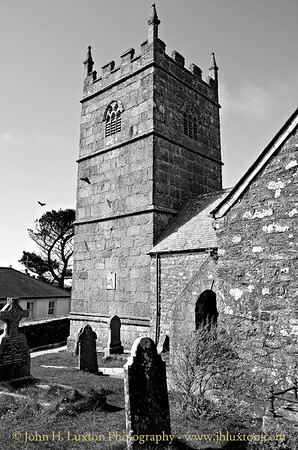 A church dedicated to Saint Senara has stood on the current site overlooking the sea since at least the 6th century AD, but the current building is partly Norman and partly of the 13th and 15th centuries (the north aisle 15th century). 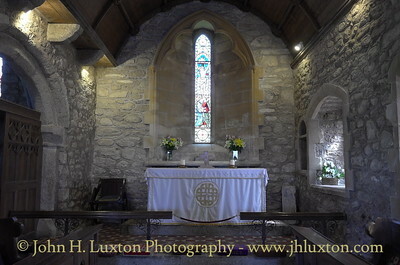 There is a west tower and the octagonal font may be from the 13th century. 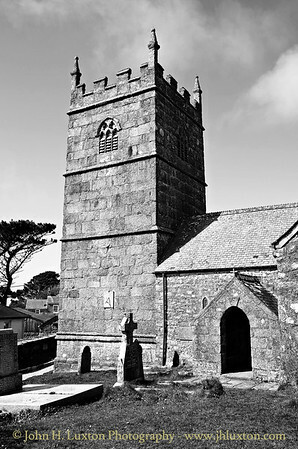 It was reputedly founded by Saint Senara on her return from Ireland with her son, who was by then a bishop, when they founded the village of Zennor. 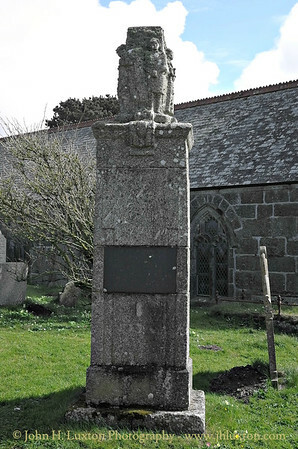 One of only two remaining bench-ends in the church portrays the Mermaid of Zennor, depicted admiring herself in a mirror. This is on the so-called "Mermaid Chair" which also has carvings of fish on the seat, and which is believed to be at least 600 years old. The church is surrounded by a small circular graveyard, the boundaries of which have existed since the Bronze Age and in which parish residents have been buried for centuries.